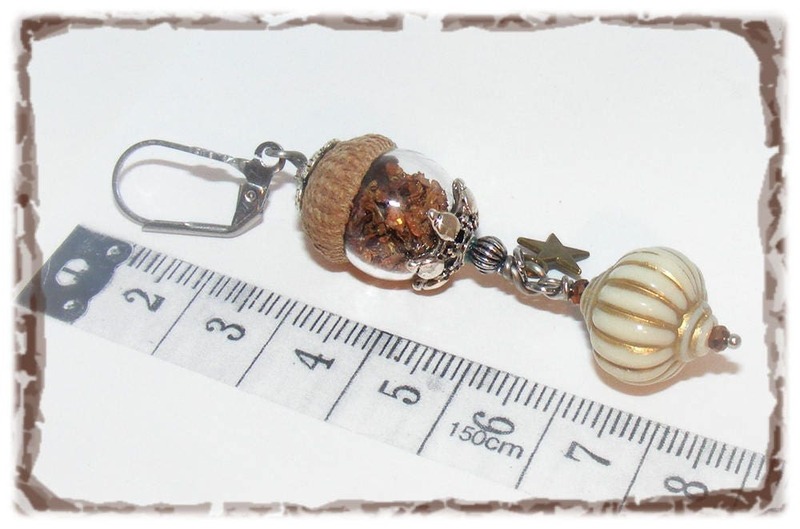 Unique dangling earrings made of glass globes blown filled with kittens of pine harvested in nature. The globes are dressed in genuine tassels accented with metal cups cups. 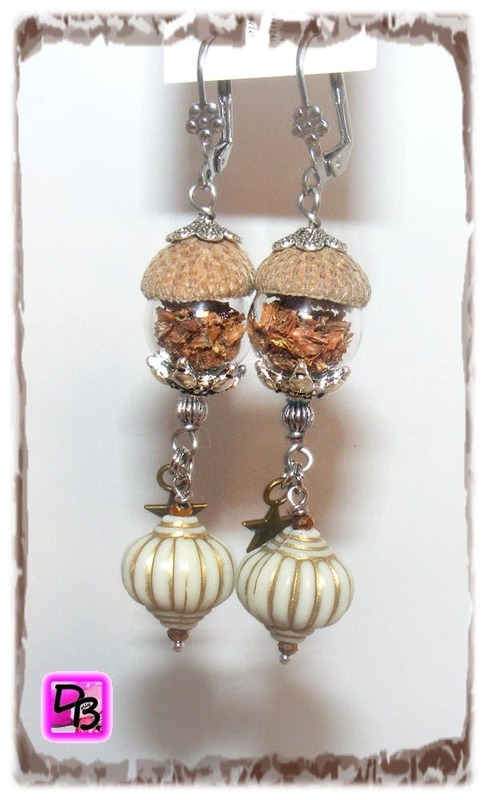 These globes are covered with resin beads and delightful charms stars. Mounting on stainless steel lever backs. Clips or silver sleepers 925 on option when making your purchase. To avoid any damages loops, caps are glued to the globes. 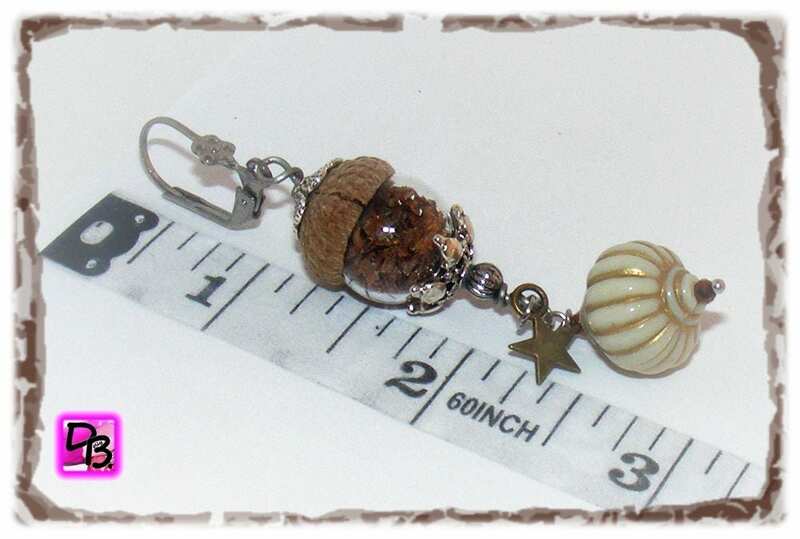 These earrings will be sent ready to offer in a pretty gift pouch.